Happy New Year from the Squadron! 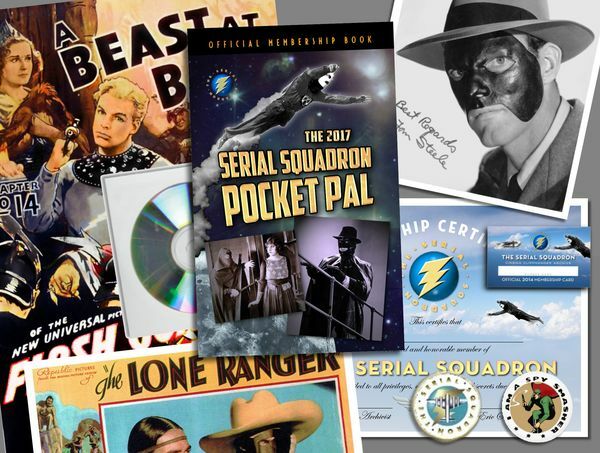 This year it includes an entirely new Pocket Pal book which contains descriptions of all silent and sound serials viewable on video, a repro of an autographed photo of Tom Steele, a new version of a classic Spy Smasher button, an 11x17 poster of an enhanced poster from Flash Gordon's Trip to Mars and lots more! 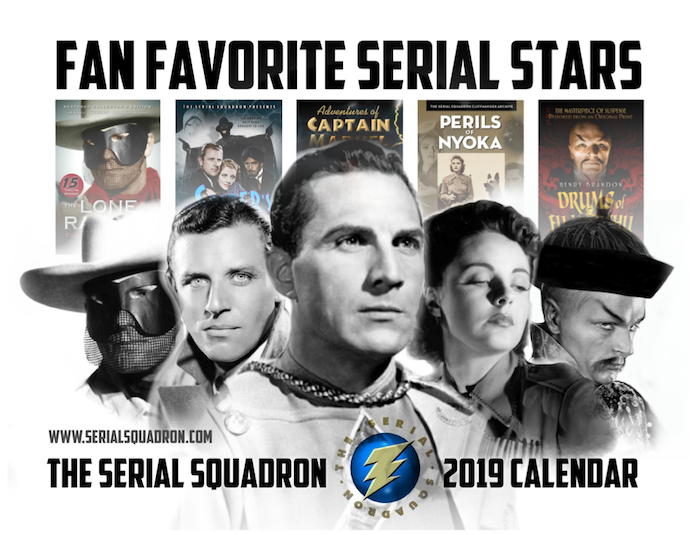 DVD sales have been declining steadily and sharply over the past few years, so this year the Squadron will begin focusing on posting online video versions of many more serials for everyone to enjoy, almost everything in our library, and we'd like all serious serial fans to become official Squadron members now to help support that effort. Currently out of stock -- will be available again once set up with the new shipping service.